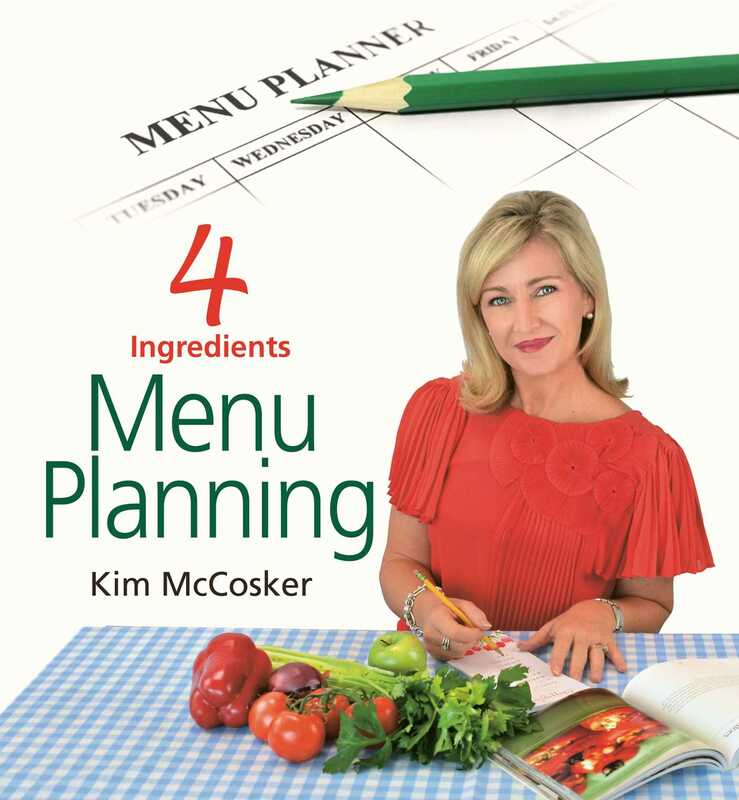 Best-selling author Kim McCosker continues her kitchen wisdom, and shows how to organise your 'heart of the home' through this "kitchen bible", 4 Ingredients Menu Planning. Use the smart tools and suggestions to reduce the cost of the family's groceries each week, with the plan of knowing exactly what is on the household menu each day. Simple steps such as listing ingredients to be purchased, avoiding double-ups on existing pantry items and ultimately reducing food wastage! Follow Kim's very simple menu plan that lists each day, nominating from over 60 recipes using just 4 or fewer ingredients for each. Walk into your kitchen organised, relieved and knowing exactly what's on the plan with 4 Ingredients Menu Planning.